A year ago, my short film "Therapy Vlog" made waves at the 2016 Snowdance Independent Film Festival in Landsberg, Bavaria. When your best buddy is a stuffed Penguin called "Piepser" (Piepser insists on being called "Beaker" in English, because he likes Beaker the chem assistant on "Sesame Street"), and you spend your week doing hugging workshops, practicing odd flirting techniques on the Berlin underground - that is definitely an ice-breaker when you're meeting casting directors, producers and filmmakers. I am proud to say that the Snowdance jury voted "Therapy Vlog" amongst the Top 11 out of 400 submissions, and that I was also shortlisted for the "Marlene" acting award. Anyhow. I've gone back into the editing suite, and I'm super-pleased to re-release my "Therapy Vlog" in it's update international version. Enjoy! And let me know what you think. ON SET: shooting for mystery horror thriller "THE NURSES OF BLACKCHAPEL"
Delighted to be playing a baddie again. Channelling my inner Nurse Ratchet, I am playing evil nurse Ms Hayton in “The Nurses of Blackchapel”. Directed by Richard Paraiso for Phantom Columbia. Berlinale has always held a special place in my life as an actor and filmmaker. When I first moved to Germany in 2012, this was the first big film festival I ever attended. Since then, I've been a regular, despite the freezing February weather and the imperative to always pack a pair of warm, comfy boots together with your stiletto heels. That's Berlinale fashion to you, and I think it works superbly well for this city of unassuming, odd glamour. This being said, once you dive in, it really is a full, intense 10-day programme, butI love the challenge of navigating the exciting, if exhausting, mix of inspiring, thought-provoking films, fancy red-carpet evening receptions and industry talks while trying not to catch the typical Berlinale flu. But Berlinale is serious for me, too. As a member of German Actors Union BFFS as well as in my capacity as one of its Berlin branch representatives, the film festival is an important opportunity for me to raise awareness for issues pertaining to our industry; to talk to my fellow creatives about our work, both aesthetically, but also pragmatically; the kinds of stories we want to tell and see on screen, as well as the question of how to finance these stories and provide fair pay, regardless of gender, race and age, to the many important people who help bring these stories to life. Filmmaking is always a team effort, made by highly qualified, motivated and passionate creatives who deserve appropriate respect and financial compensation. Berlinale always makes me incredibly proud to call myself an actress, and to identify as a member of the creative family. INTERVIEW: Julia on Cambridge TV's "Celluloid Dreams"
I was delighted to be invited for an interview by presenter Nidhi Gupta at Cambridge TV in order to talk about my award-nominated short "Therapy Vlog", all things acting as well as balancing my two careers as an actress and an academic. Happy Birthday DSP! Julia is a longterm member of the German Actors Union BFFS and supports their work as a volunteer. 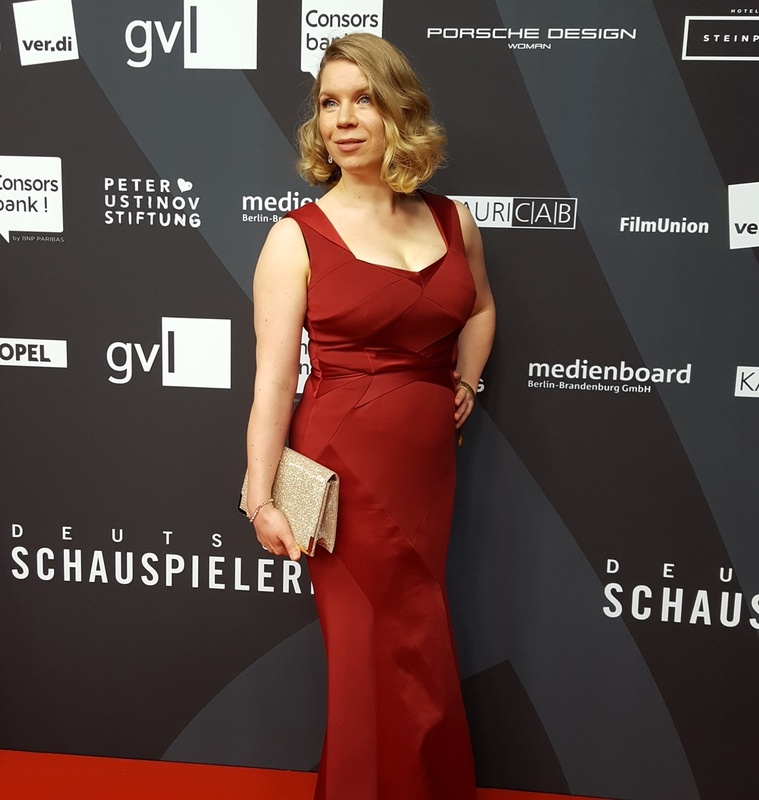 May 20th saw the 5th birthday of the German Actors Union Award, which Julia attended at the Zoopalast Berlin. ON SET: Shooting for American mystery thriller "HERITANCE"
Julia had the immense pleasure of working with American director Will von Tagen on his feature film "Heritance". Julia played the role of historian Dr Siebert in this mystery thriller set in Berlin and the Harz region, with its rich, yet at times unsettling heritage of folklore, artefacts and fairy tales. Hosted by Northern Lights Promotion, the Northern Lights Gala aims to promote Nordic actors during the Berlin International Film Festival. This gala evening also hosted the Harpa Music Awards, which rewarded outstanding artists in the field of film music. Julia was delighted to attend this event at the Nordic Embassies in Berlin and support her fellow colleagues from Northern Europe. Julia's 90-second short on "Time" has made the top 11 in the Speedcasting event at the Snowdance Independent Film Festival in Landsberg (Bavaria), 30 January 2016. 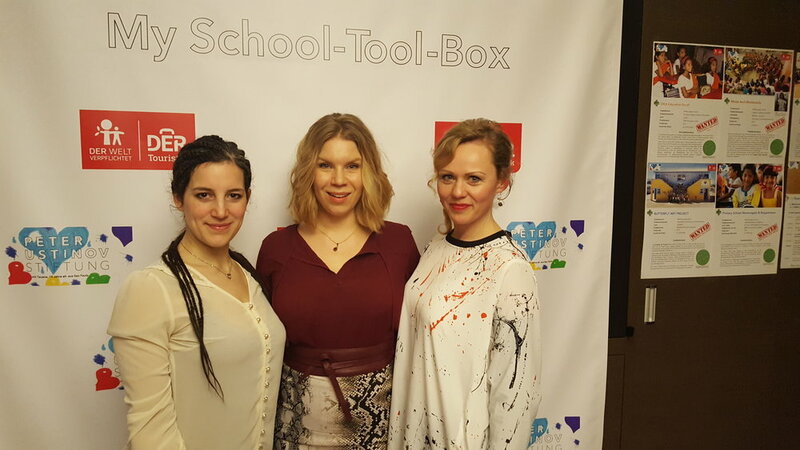 The Speedcasting at Snowdance is a full-day event, organized by CastForward and CastMag, which gives a selected group of actors the opportunity to meet and network with casting directors, producers and filmmakers. Disclaimer: This motion picture is protected under the copyright laws of Germany and other countries throughout the world. While I do thank my muses who inspired me to create this motion picture, the story, all names, characters, and incidents portrayed in this production are fictitious. No identification with actual persons, places, buildings, and products is intended or should be inferred. No penguins were harmed in the making of this motion picture.